At one time or another, everyone has experienced that fleeting moment of unknowing dread upon finding out their company is sending them to a two-day conference. 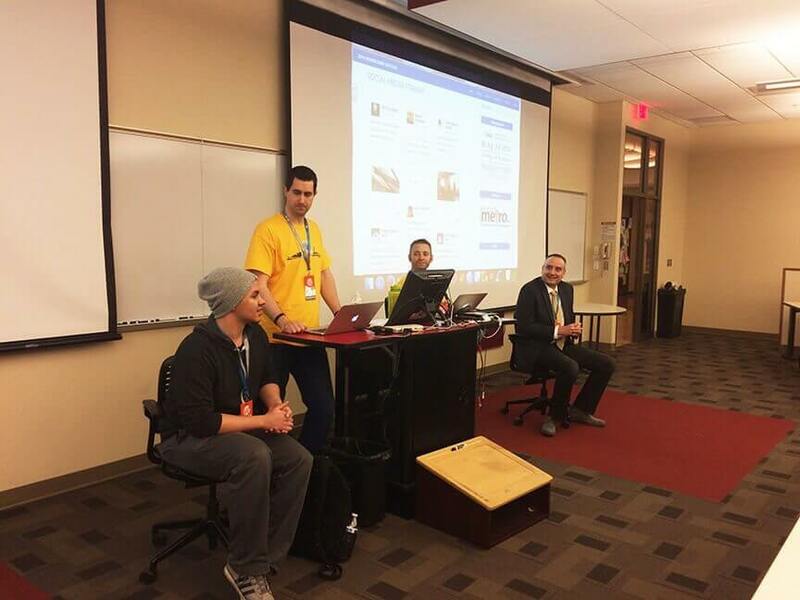 When notice arrived Chepri Design Director Bill Clifford, Lead Designer Josh Hibbard, and I would be attending WordCamp Dayton at Wright State University, I didn’t lower my head onto my desk and cringe, nor wistfully gaze at all the work piled up on my desk. I didn’t develop a headache upon discovering I would be sitting through presentations all day Friday and Saturday, nor fall in bed with nostalgia picturing myself setting foot back upon the campus of my alma mater. And, I had heard a lot of great things about this event — but had never before attended. 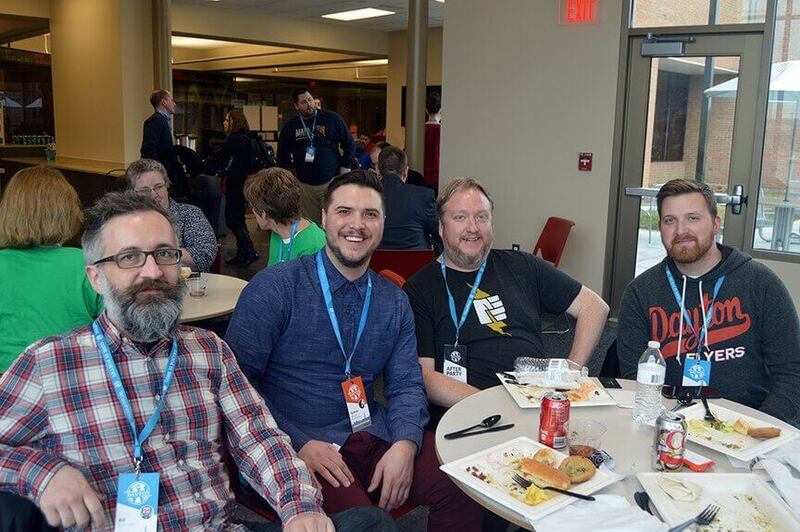 So, before I get too deeply into this story, I’d better answer a few questions you may have about what WordCamp is and why attending can be really beneficial, interesting, informative, and more importantly, fun. 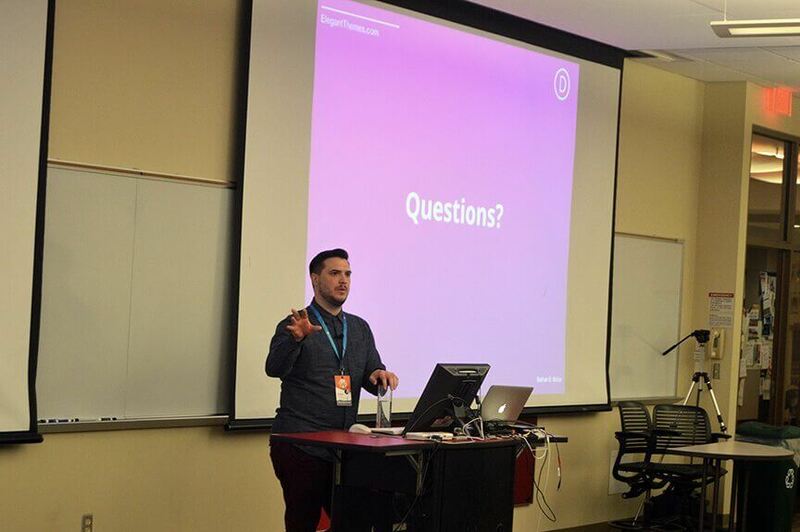 WHAT IS WORDCAMP AND WHAT SHOULD YOU EXPECT? As all of you readers no doubt realize, WordPress (WP) is the most popular content management system in the world, responsible for birthing 26 percent of the total websites in existence today. No mean feat considering how many alternatives are available. Chepri uses WordPress for a multitude of client websites and other projects. WordCamp provides an opportunity for people from every sphere to get together and learn about WordPress without the expenses and trappings associated with large conferences. Everyone is welcomed, regardless of skill level, and business affiliation. Sessions are formatted to include lectures with presentations, demos, panels and Q&A. Speakers address WordPress topics ranging from getting started, design, development, troubleshooting, marketing, and social media. WordCamp itself is more about building an illuminated, knowledge-based community around WP, not an attempt to sell products and/or services. 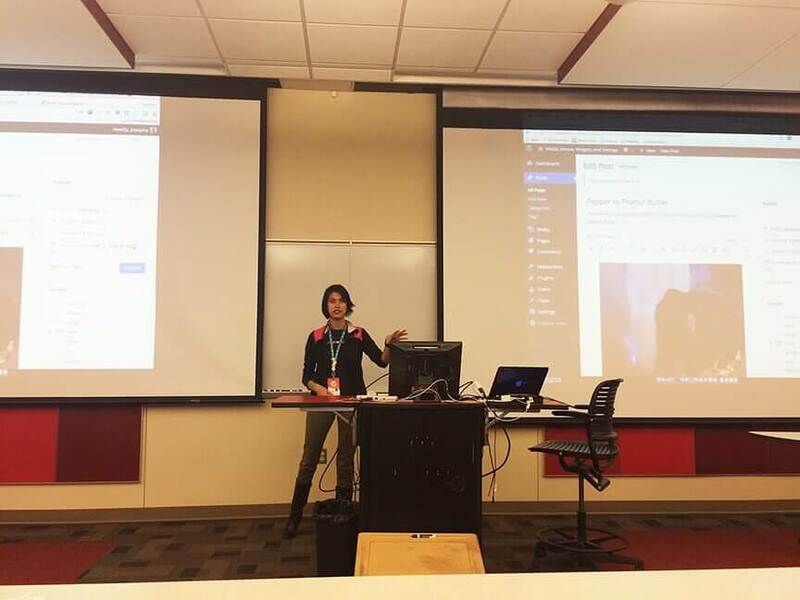 In addition to learning about WordPress, meeting other WP users, and networking with representatives from innumerable organizations, WordCamp provides invaluable interaction and engagement opportunities. 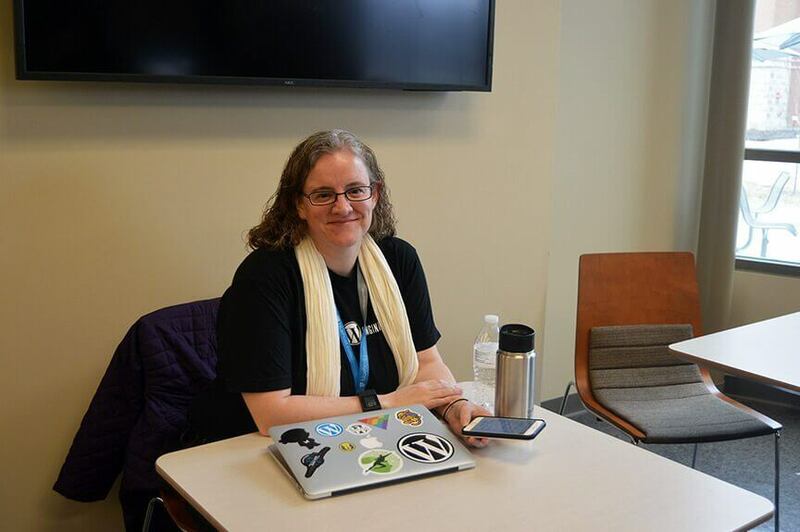 Energetic organizers, talented speakers, helpful volunteers, and even a WP staffed Happiness Bar all come together with attendees to spread the WP gospel, comprised of new relationships, projects, and potential collaborations. You hear that word a lot. Community. After awhile, it sort of loses meaning and the letters become unrecognizable. Sort of like pig-latin. What did I expect? Traveling to Wright State, early, hoping for coffee so I could focus on listening and learning something, I must admit a tinge of anxiety colored my edges. 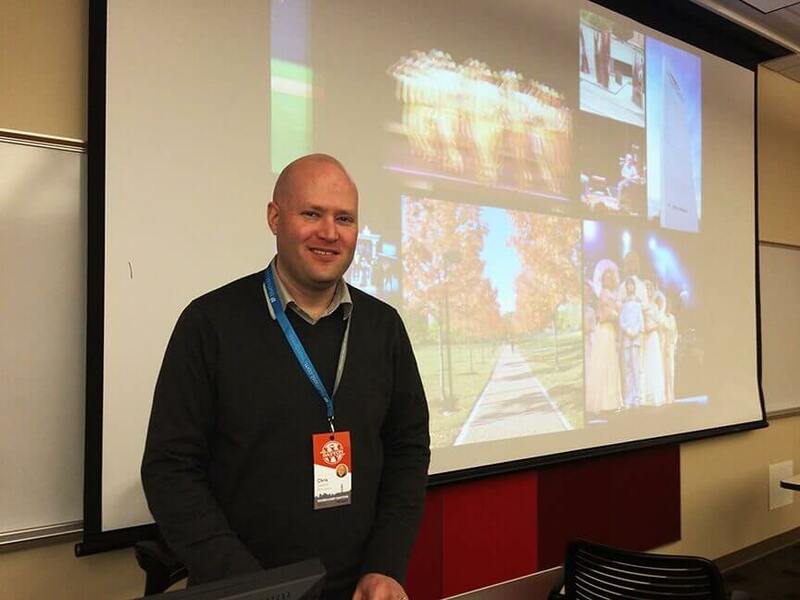 Walking across the Wright State campus, struck by past memories of student conversations, academics and events, entering Rike Hall, I was immediately greeted by smiling WordCamp volunteers, happy to check me in while graciously answering my every question. Yes, there was coffee, doughnuts, fruit, and all the amenities anyone just emerging from a coma could readily expect. The classrooms were filled with talkative, happily gesticulating participants, not only eager to learn but just as eager to meet, greet, and quickly find common ground. All my insecurities evaporated. I felt good. I was part of a welcoming group. A real community had come together. I’ll admit, I am a note-taker. And I don’t take notes using a laptop, iPad, or any other device. Sort of counter-intuitive in today’s tech age, but I still prefer my tried-and-true, time-tested method: plain old pen and paper. And I took copious notes, people. Not because I had to. The speakers were that good. Initially coming in filled with apprehension and anxiety, I didn’t expect much, but was blown away by the quality of the data and the enthusiasm of each speaker’s delivery. After a very informative and graceful introduction by the WordCamp organizing staff, over the course of Friday and Saturday, we were all treated to a variety of presentations focusing on WordPress (of course), detailing topics suitable for beginners through power users and developers, with a hefty concentration on WP social media and marketing applications. There were three different rooms set up for presentations, and attendees could freely move from one lecture to the next, focusing on whatever subject was most appealing. I quickly realized there was no way I could make every presentation, but can say every lecture I did attend was enlightening. There were no sleepers there. There were speakers from many different niches, all collectivity contributing content, including representatives from WordPress, called Automatticians. Before I begin lauding accolades on the speakers, I should explain a couple of terms. An Automattician is an individual working for WordPress outgrowth Automattic, teaching, promoting, and developing WP. 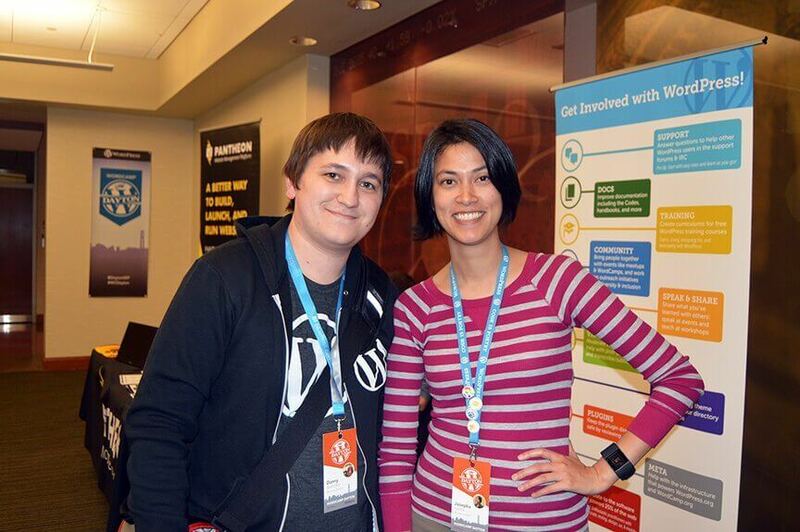 In a slightly different variant, they are also called “Happiness Engineers” at WordCamp events, focused on helping people with WP questions and concerns. These folks are phenomenal at their jobs, adding an exquisite layer of understanding to the individual programs and WordCamp in general. And that’s just a few of the WordCamp speakers whose presentations Chepri was lucky enough to catch. All the speakers were completely professional and knew their subject matter intimately, keeping participants glued to every word. Most impressive was the fact that after a presentation, every speaker took time to answer individual questions and hang out with participants. 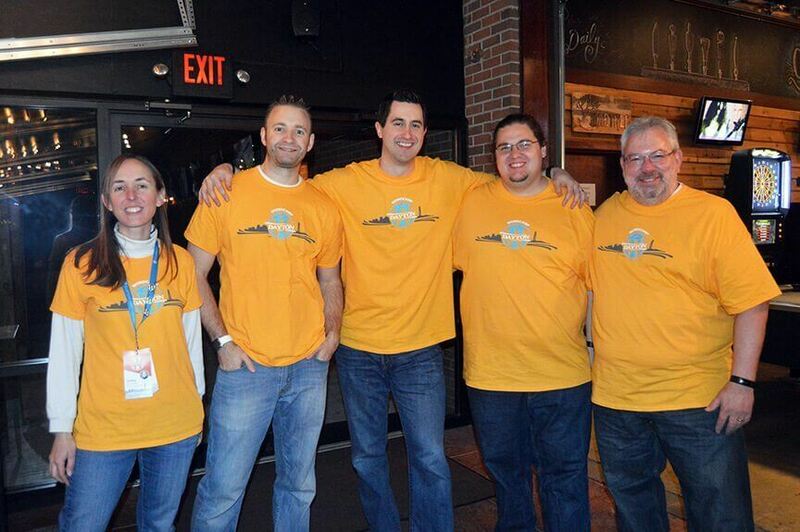 The Happiness Bar was always manned by Automatticians ready to delve into any WordPress concern poised by attendees. 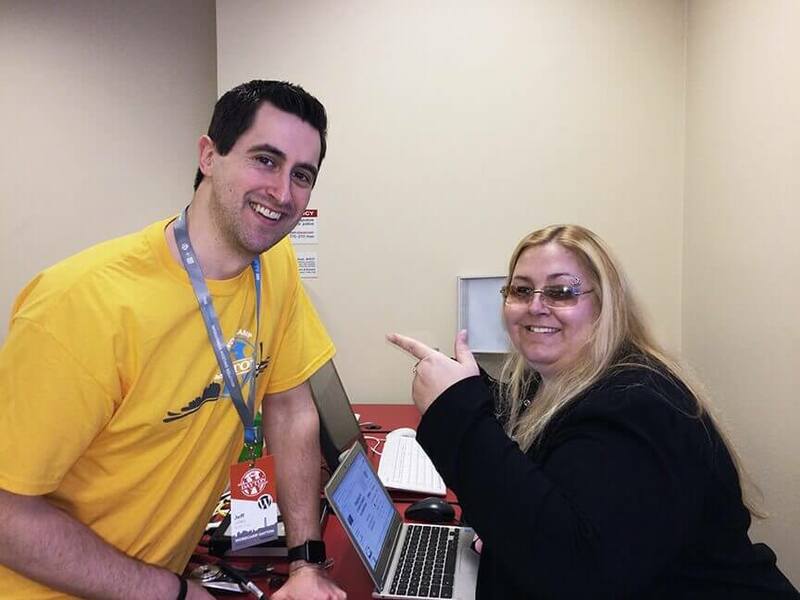 That being said, I must also point out every volunteer went above and beyond to be helpful, friendly, and above all, deeply embedded and caring about everything comprising WordCamp Dayton. 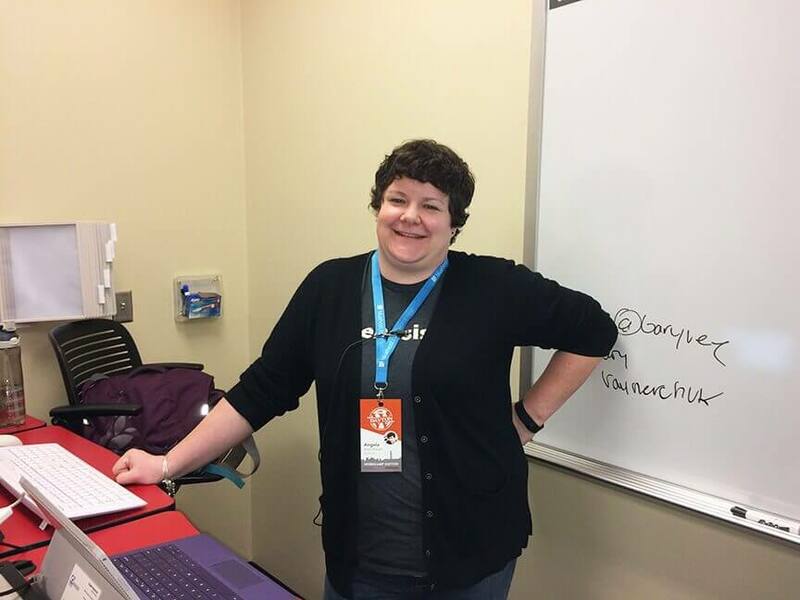 In addition to this, most individuals at WordCamp Dayton worked completely for free, teaching others while continually investing themselves into creating a better overall experience for participants. 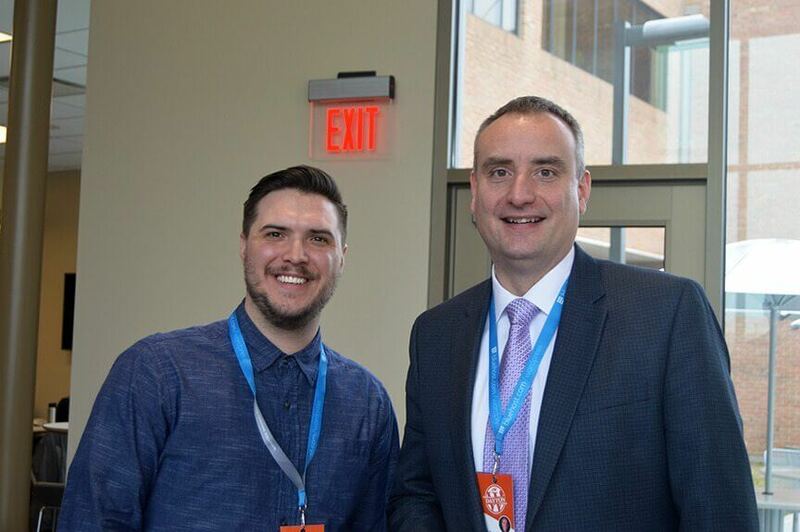 In the end, my apprehension had completely disappeared as I realized how amazing WordCamp Dayton really was. 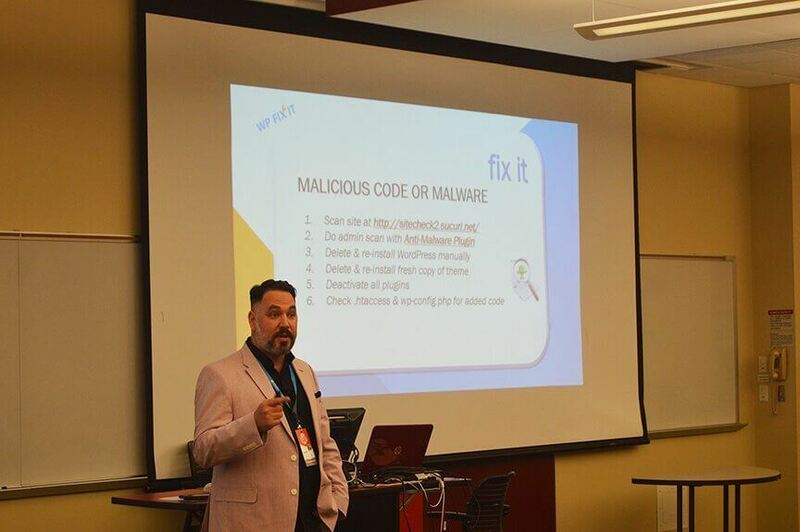 Everything was informative and pleasurable — the networking resulting in new connections, the food catered by Hot Head Burritos and Scratch Catering, and most importantly, meeting new friends while building a larger technology community. And yes, I still have my notes. All 12 pages. 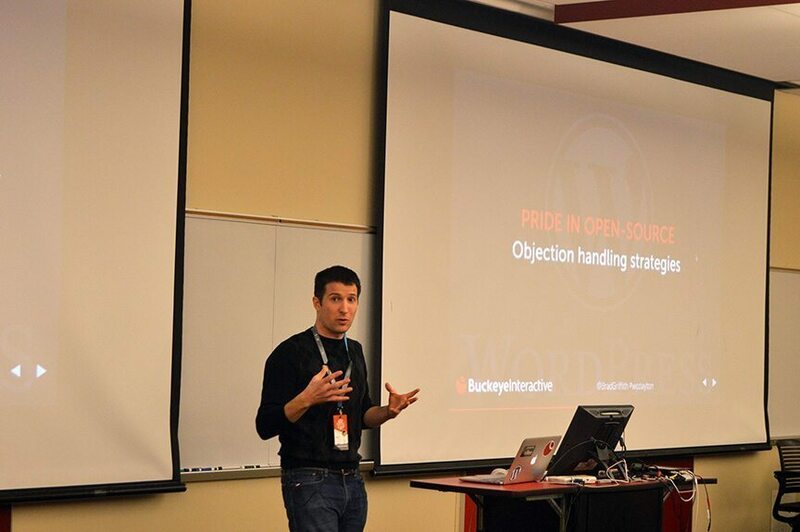 Gonna add to my repertoire during WordCamp Columbus, coming this summer. 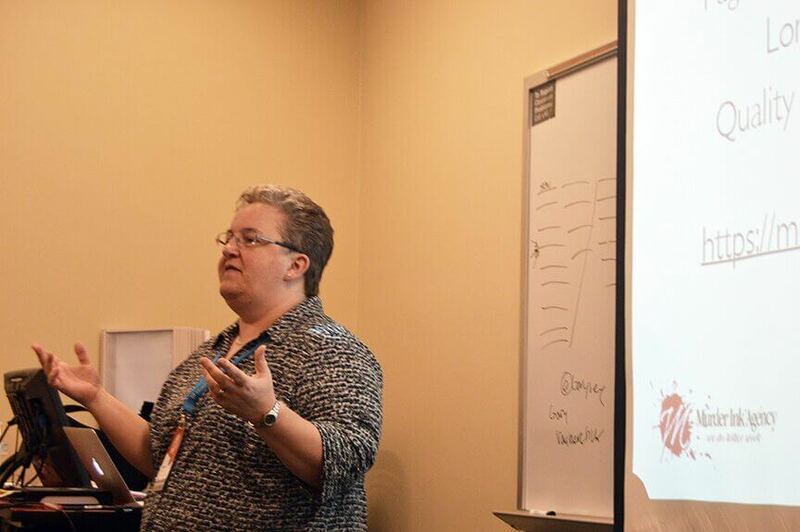 For more information, check out 2016 WordCamp Dayton, on Twitter at @Daytonwp and WordCamp Central. Presentations will be shared to the WordPress channel on WordPress.tv. 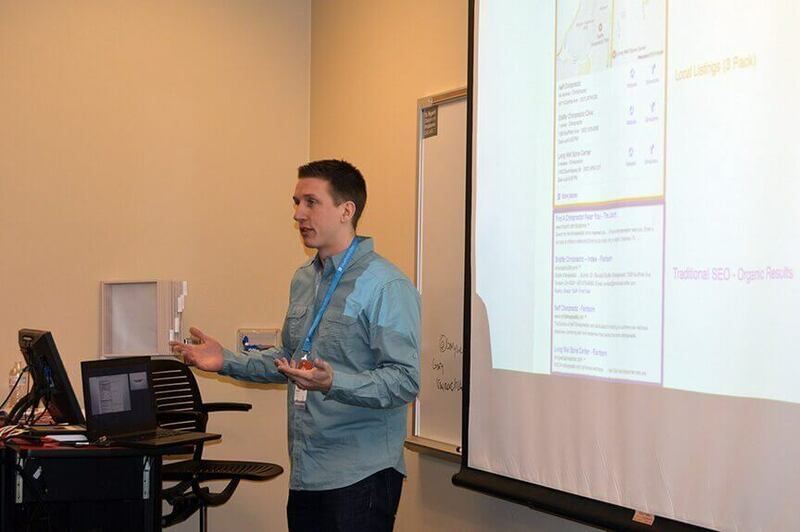 Is there a WP local group to Dayton OH that can assist someone in getting started with WordPress from the beginning. 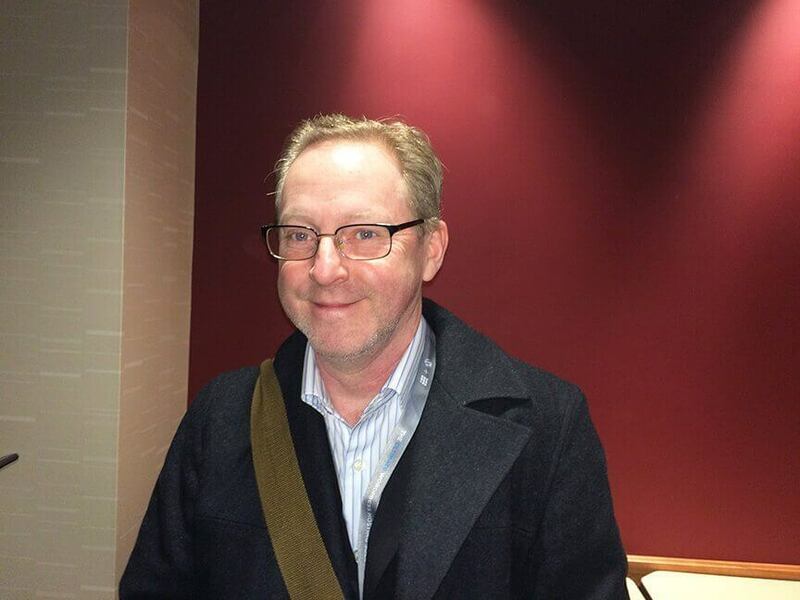 I have been to a WordCamp and am having great issues with the initial install process of WP for a local machine. I have programmed with Dream Weaver but this WP software package is giving me fits trying to get it installed as a local host so I can do my own development. Any guidance would be greatly appreciated.